Hardcover, 6.75 x 9.5 in. / 216 pgs / 12 color / 28 bw. 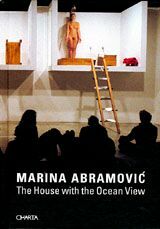 For 12 days in November 2002, Marina Abramovic lived on three open platforms in the Sean Kelly Gallery in New York. She did not eat or speak, nor did have any privacy: the rooms were open and spectators were even invited to observe the artist through a high-powered telescope. 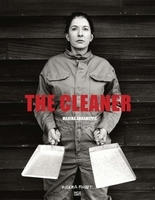 She had no escape: the ladders leaning against bedroom, sitting room and bathroom had rungs made of large butcher knives. 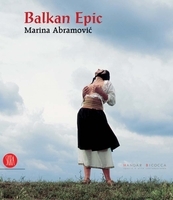 Throughout her 30-year career, Abramovic has used her body as her primary material, pushing it to extremes of altered consciousness, often putting herself in great physical peril. Her concern with creating works that ritualize the simple actions of everyday life like lying, sitting, dreaming and thinking focuses, in effect, on the manifestation of a unique mental state. In one early solo performances, the artist announced that she would be a passive object for six hours and laid out 72 items spectators could use on her, including a loaded gun. A fight broke out when someone tried to use it. Beginning in the late 70s, she and her then partner Ulay collaborated on now classic performances in which they crawled on their stomachs with a python that hadn't eaten in two weeks; collided with each other, naked, at top speed; sat motionless for seven hours at either end of a long table, trying not even to blink; and, most famously and difficultly, crossed the Great Wall of China, starting at opposite ends and walking until they met in the middle. Abramovic thought The House With the Ocean View would be most like walking this last piece, so she mounted the platforms at Sean Kelly Gallery clad in the old hiking boots she wore in China. 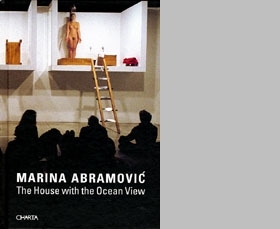 This volume presents documentation of The House With the Ocean View, Abramovic's most important performance work to date, alongside essays by the artist, her gallerist Sean Kelly, art historian Thomas McEvilley, curator Chrissie Iles, and others. FORMAT: Hardcover, 6.75 x 9.5 in. / 216 pgs / 12 color / 28 b&w.